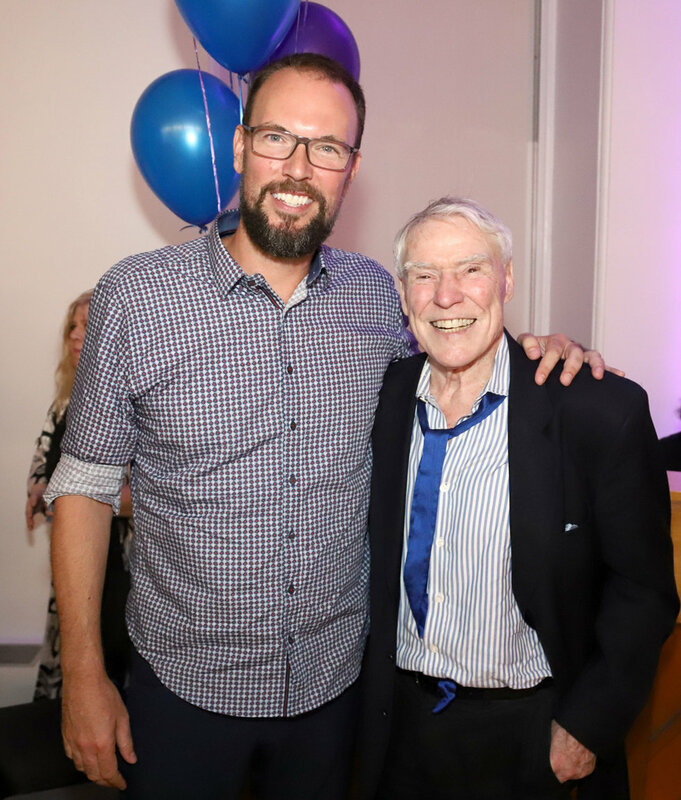 At the Dance on Camera Kickoff Gala on July 16, Dance Films Association honored two beloved dance artists from different generations: Jacques d'Amboise and Trey McIntyre. After a composite of d'Amboise's charismatic dancing was shown, Jacques regaled us with stories. He didn't talk about dancing for Mr. B, he didn't talk about his dazzling turns in the movie Carousel, or how dashing he looked in the emerald green shirt in Seven Brides for Seven Brothers. He talked about Tanaquil Le Clercqin Jerome Robbins' Afternoon of a Faun (1953)—a tiny clip of it was in the montage that DFA showed in tribute to him. Apparently both Jacques and Tanny thought the other had gotten permission from Robbins to make a film about Afternoon of a Faun in Toronto, but they hadn't. Jerry was furious when he found out about it. And then…Tanny came down with polio. And Robbins was soooo happy to have a bit of her gorgeousness on film. When Jacques gives her that slow kiss, which she accepts with a glowing stillness, a moment froze in time. The fun part was a story-with-mime he told about the time New York City Ballet was headed for England and Mr. B decided to give the dancers a lesson in the proper way to drink tea. And d'Amboise's storytelling was delightful, captured below by filmmaker Maia Wechsler. Trey McIntyre chose to be silent—almost. Ella Baff presented her view of why he is such a compelling dance artist. Then Trey changed his mind and instead pulled us into his next project. He asked us all to say the word "with" after a count of three while he captured the chorus on his iPhone. It was delightful to be part of his next project. His autobiographical film Gravity Hero plays July 23. The Dance on Camera festival, which goes from July 20 to 24, is packed with 16 programs of films from 17 countries, including Maia Wechsler's If the Dancer Dances.